Let’s take a minute for a brief overview of bitcoin. 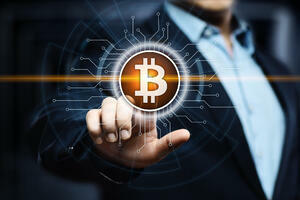 Bitcoin is a form of cryptocurrency, which is actually electronic cash. When using bitcoin, you bypass actual brick-and-mortar financial structures and currency is sent through a secure online network directly from one person to another using blockchain technology. So, would you by a home with bitcoin? First and foremost, both parties have to agree on this type of transaction, and the seller will then need to decide if he or she will accept bitcoin for payment or if the bitcoin needs to be converted to actual paper money at the time of purchase. For those with bitcoin on hand to spend on a home, regardless of if the seller is accepting the actual bitcoin or if it is being converted to cash for the seller, this mainstream way of purchasing a home cuts down on mounds of paperwork and time as it is a direct transaction between buyer and seller. This means no mortgage and no lending company to contend with. While there is no real risk to the seller, the buyer needs to be aware of the conversion rates as they have been known to fluctuate almost on a daily basis. Since United States laws dictate that the cost of the home that is agreed upon is in US dollars, the buyer needs to be aware that as the rates fluctuate, they may lose more than they originally bargained for when originally going into the real estate deal. While the financial aspect of the transaction can be taken care of with bitcoin, keep in mind that there are still other aspects that cannot be taken out of the equation. You will still need to hire a title company, find a real estate lawyer and have inspections done, which will likely still require cash as payment. While there are some professional services available for hire via bitcoin, it is certainly not the common practice at this time. That’s not to say that sometime in the (probably not so distant) future we won’t have the option to use bitcoin and smart contracts to streamline most of our purchases, big and small.